A solicitor who is also an equestrian expert is riding high after joining one of Shropshire’s largest legal firms. She will strengthen the family team at the firm’s Shrewsbury head office and Newtown office. “I appear regularly on the West Midland, Shropshire and mid Wales court circuit before all levels of judges from magistrates to circuit judges. 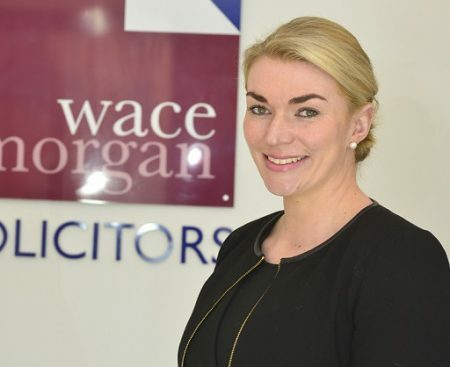 “I am delighted to join the skilled and expanding team at Wace Morgan, which has one of the largest family departments in the county,” she added. After completing her law conversion and legal practice course at The College of Law in Birmingham she was employed at a specialist family firm in Telford, becoming a director in 2015. Lizzie represented England in dressage last year and has now qualified for the British Dressage Winter National Championships at Hartpury in Gloucestershire in April 2017.